Denver Welcomes You to The Mile High City! Denver is the place to be for all things arts & culture. Sports fans will find plenty to love in The Mile High City. 3 Attractions. 3 Days. 1 Price. 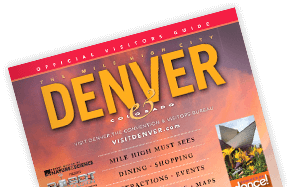 With the Mile High Culture Pass in hand, you’ll receive admission to some of the city’s most fascinating attractions. Denver International Airport is the fifth busiest airport in the United States. Get from Denver International Airport to Downtown Denver with ease. Explore alternative transportation options in the Mile High City. Explore the city of Denver and get point-by-point directions.